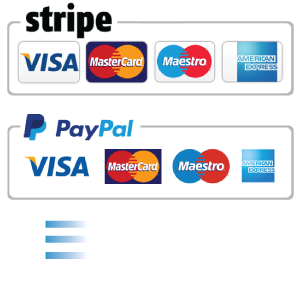 Card wallet measuring 10 x 21 cm when folded. 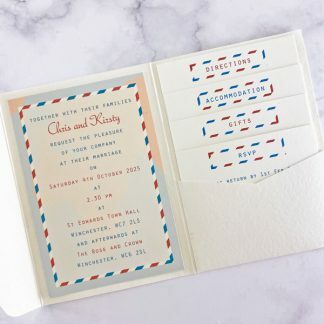 Envelopes to send the invitation in and for guests to return their RSVP slip in. 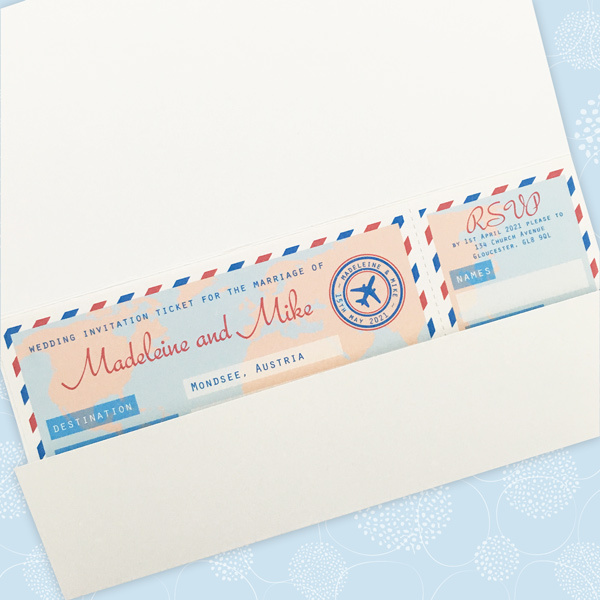 The invitation is made from high quality white or ivory card with a smooth finish. The design is printed using fade resistant and smudge proof ink. 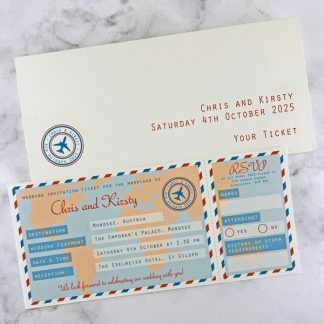 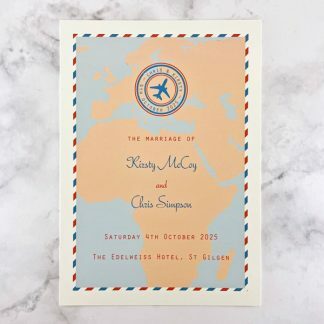 The Travel Ticket design has a colour scheme based on two colours, which you can choose from the wedding stationery colours chart. The layout on the Travel Ticket themed wedding invitation will be fully customised to suit your wedding. 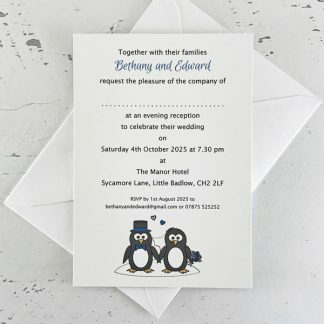 The design is equally suitable for day or evening invitations and can be adapted for one venue or two venues. 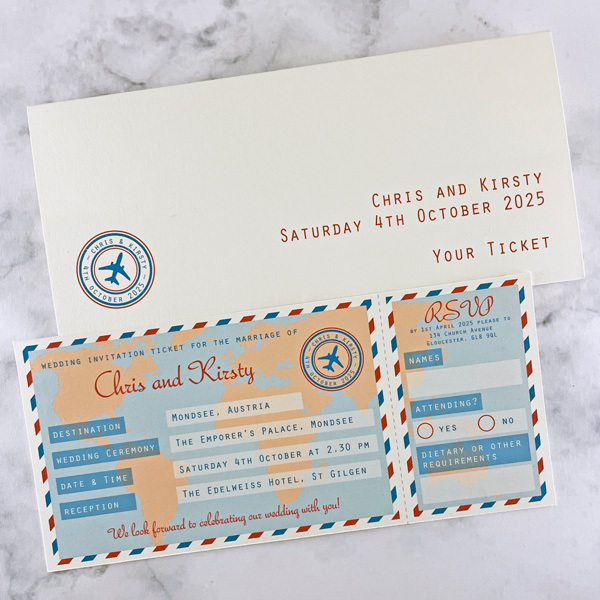 Couples wishing to send extra information about their wedding can have information printed on the inside of the wallet (for an additional £0.60). I will contact you for the wording to go on your invitations. 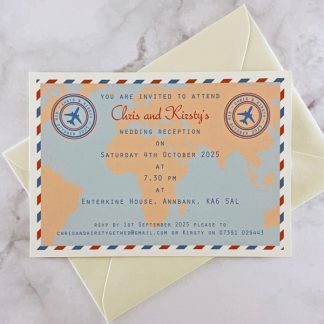 I will send pictures before I print so you can check everything looks as you want it to. 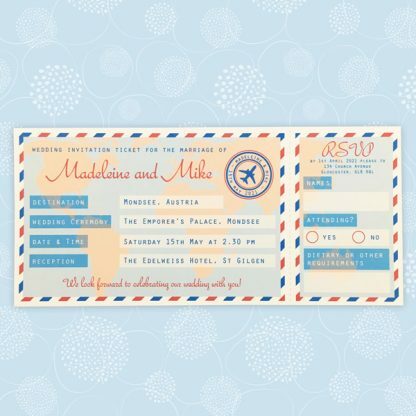 Print additional wedding information on inside of wallet?